Topping today's deals is the Alienware X51 mini gaming PC with Haswell Core i7 for $1,349 with a massive $200 e-gift card included. If you were waiting for a deal to grab GTA V, check out this offer from Dell that includes a bonus $25 e-gift card. You also don't want to miss the sleek ultrabook from Dell with Core i5 processor for only $499.99, a closeout deal that we don't expect to last long. Scroll down to get these and the rest of today's hottest deals. 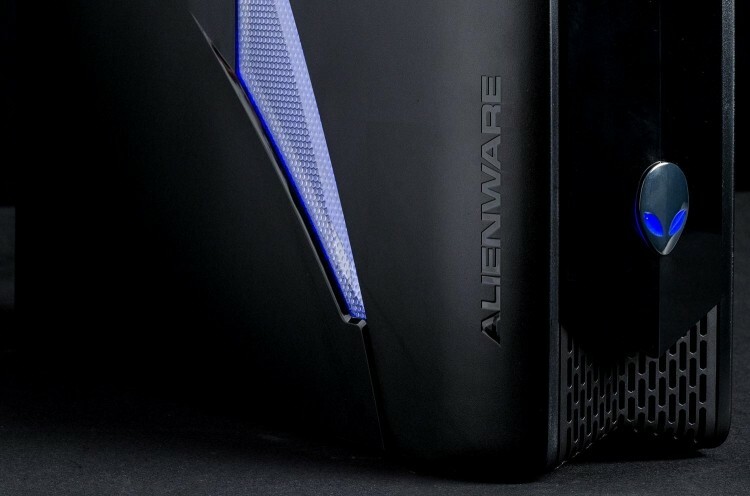 79 Alienware X51 r2 4th-gen Core i7 mini Gaming PC w/2GB GeForce GTX 670, AlienFX Lighting, $200 Gift Card & Windows 7 for $1,349 with free shipping (normally $1,449 | effective final price $1,149.99). Grand Theft Auto V (360/PS3) + $25 Gift Card for $59.99 with free shipping (normally without gift card). 73 14" Dell Inspiron 14z Core i5 Ultrabook w/ Windows 7 for $499.99 with free shipping (normally $699.99 - use coupon code B7W6WFQPQS9MBP ). Thermaltake V4 Black Edition Mid Tower Case (Black) for $29.99 with free shipping (normally $47). 87 LG G2 5.2" Smartphone [new 2-year Verizon contract] for $139.99 with free shipping (normally $199.99 - use coupon code VERIZON30 ). 24" Asus VE248H 1080p HDMI 2ms LED-backlit LCD Monitor for $154.99 with free shipping (normally $229.99 - use coupon code EMCXLWL25 and $20 mail-in rebate form). Seagate GoFlex 1TB Thunderbolt Portable Hard Drive for Mac for $144.95 with free shipping (normally $199.00 - use coupon code DIG5). HP ENVY 15t-j000 Quad Edition 4th-gen Core i7 "Haswell" Laptop for $689.99 with $9.99 shipping (normally $799.99 - use coupon code SVD8492). 71 Logitech K400 Wireless Touch Keyboard for $30.59 with free shipping (normally $35.99 - use coupon code QG3G$33HH3QP0?). Dell Precision T1700 Intel Xeon E3-1245 v3 3.4GHz Quad-core Small Form Factor Desktop w/8GB RAM, Windows 7 Professional & 3-year warranty for $799 with free shipping (normally $1,365.67). 86 30" Dell UltraSharp U3014 2560x1600 LED-backlit IPS LCD Monitor + $300 Gift Card for $1,150.99 with free shipping (normally $1,499.99 - use coupon code 9QB025WNJ3X$MJ ) | effective final price just $850.99). 70" VIZIO E701i-A3 1080p 120Hz LED HDTV + $200 Gift Card for $1,598 with free shipping (normally $1,699 without gift card | via Dell).